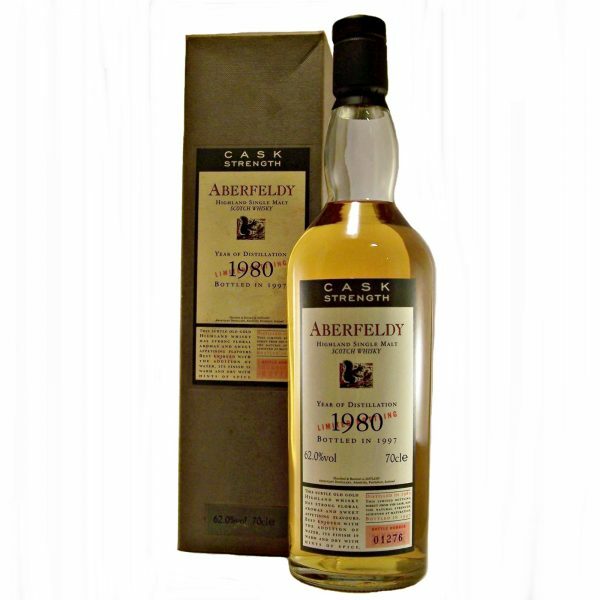 A rare discontinued bottling of Aberfeldy 1980 Cask Strength Flora & Fauna range Single Malt Whisky. 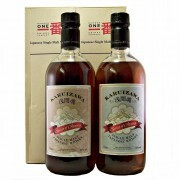 A Limited Edition of individually numbered bottles. 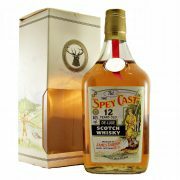 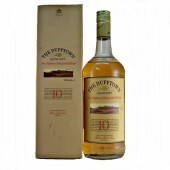 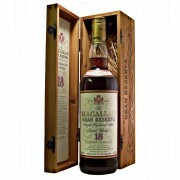 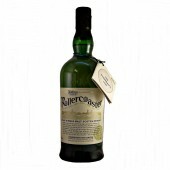 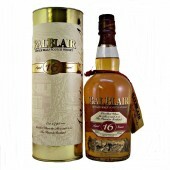 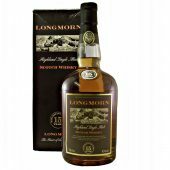 It was distilled in 1980 and bottled in 1997 at a whopping Cask Strength of 62% ABV. 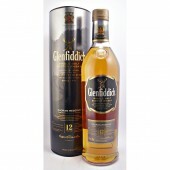 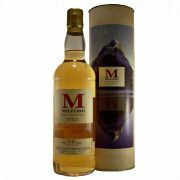 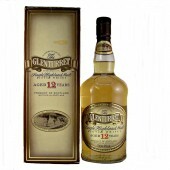 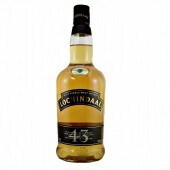 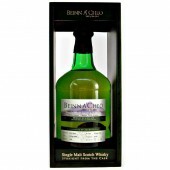 This subtle old gold Highland whisky has strong floral aromas and sweet appetising flavours. 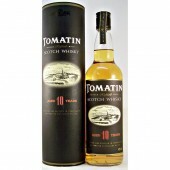 Its finish is warm and dry with hints of spice.